We are currently looking for a graduate student with an interest in the application of eDNA to Rocky Mountain Ridged Mussel conservation. The mussel researchers function as a collaboration among university and government researchers. At UBC, the group is headed by Ian Walker, a Professor in the Departments of Biology, and Earth, Environmental & Geographic Sciences. Other participants include UBCO students, former post-doctoral fellow Jon Mageroy (now at the Norwegian Institute for Nature Research), and our collaborators at the British Columbia Ministry of Environment, the British Columbia Ministry of Lands, Forests and Natural Resource Operations, and the federal department of Fisheries and Oceans. 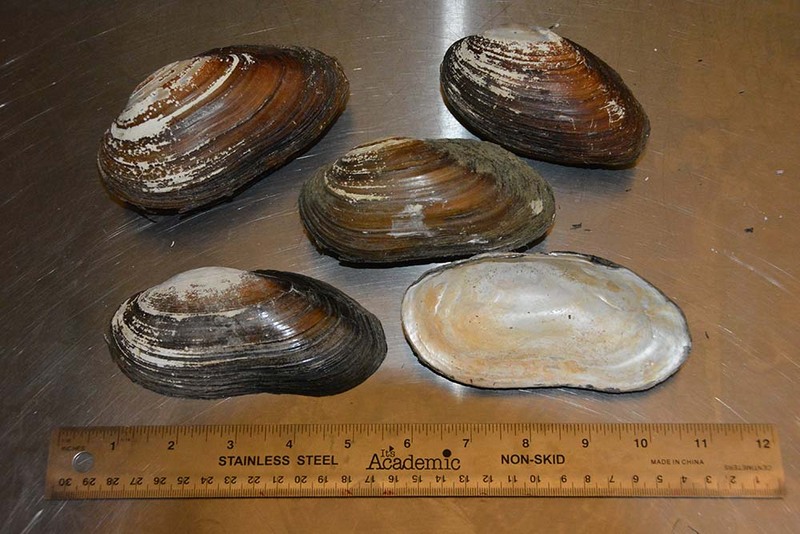 Our principal research goals have been to better document the biology, ecology, genetics, and geographic distribution of the endangered Rocky Mountain Ridged Mussel (Gonidea angulata Lea); thus, facilitating better conservation management. Shell of our principal study organism, the Rocky Mountain ridged mussel (Gonidea angulata Lea), also known as the western ridged mussel. 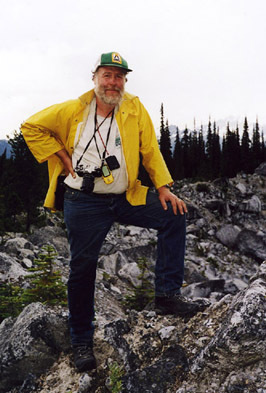 A member of the Science Faculty at Okanagan University College (OUC) from 1991 to 2005, Ian was hired as one of the founding faculty members at the new UBC Okanagan campus. 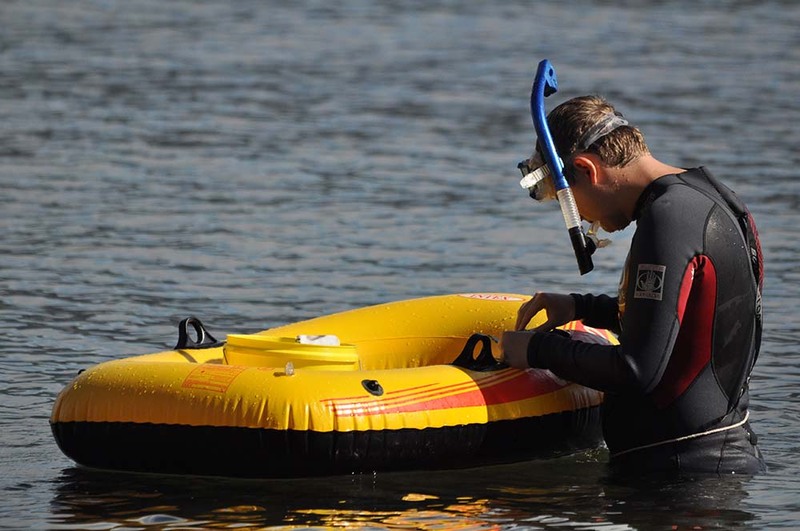 Ian is a specialist in freshwater ecology and climatic change research. 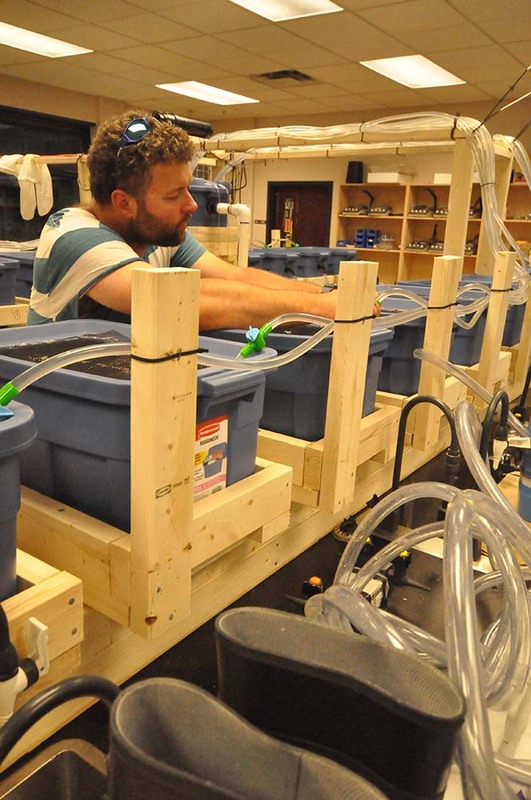 In addition to his mussel work, his academic research focuses especially on the relationships among aquatic organisms and current and past climatic change, especially in arctic and cordilleran ecosystems. He is an author on over 50 peer-reviewed research papers published in international journals and specialist texts. In addition to his duties in the Okanagan, Ian has held adjunct professorships at, and has supervised graduate students at, Simon Fraser University and Université Laval. He has served as an external referee for Canadian, Austrian, British, Dutch, Norwegian and American research funding agencies, and as a reviewer for over 30 different scientific journals. 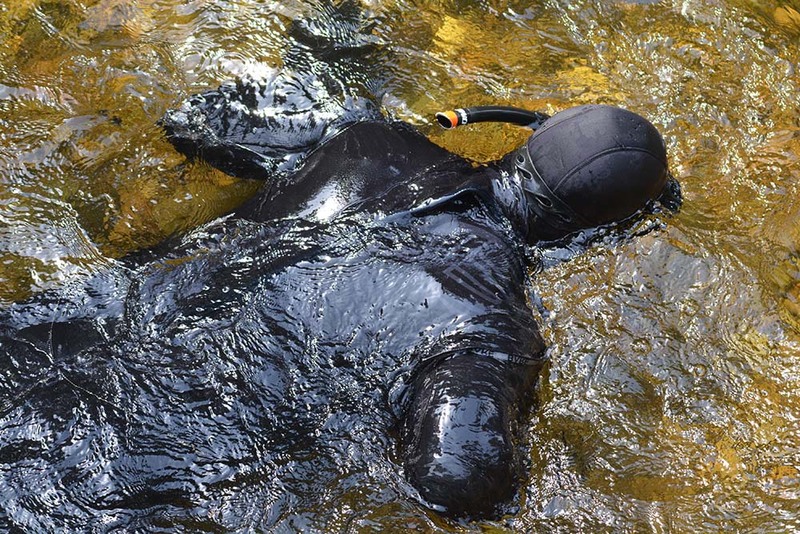 He was a member of NSERC's Environmental Earth Sciences Grant Selection Committee from 2000 to 2003, and is currently a member of the Advisory Board for the Journal of Paleolimnology. Mageroy, J.H., R.M. Snook, L.M. Nield, I.R. Walker (2017) The impact of control methods for eurasian watermilfoil (Myriophyllum spicatum, L.) on western ridged mussel (Gonidea angulata, Lea): Does rotovation harm the mussel? Northwest Science, 91:186-197. Mageroy, J. & I.R. Walker, eds. (2017). Rocky Mountain ridged mussel (Gonidea angulata) in the Okanagan Valley, B.C. : Final report on host fish field sampling, mussel surveys, genetic analyses, and maximum age determination). University of British Columbia, Kelowna. Mageroy, J. (2016). Rocky Mountain ridged mussel (Gonidea angulata) in the Okanagan Valley, B.C. : Final report on potential threats from limited fish host availability, introduced fish species, and river restoration, and mitigation of direct damage from the public. University of British Columbia, Kelowna. Mageroy, J., R.M. Snook (2015). 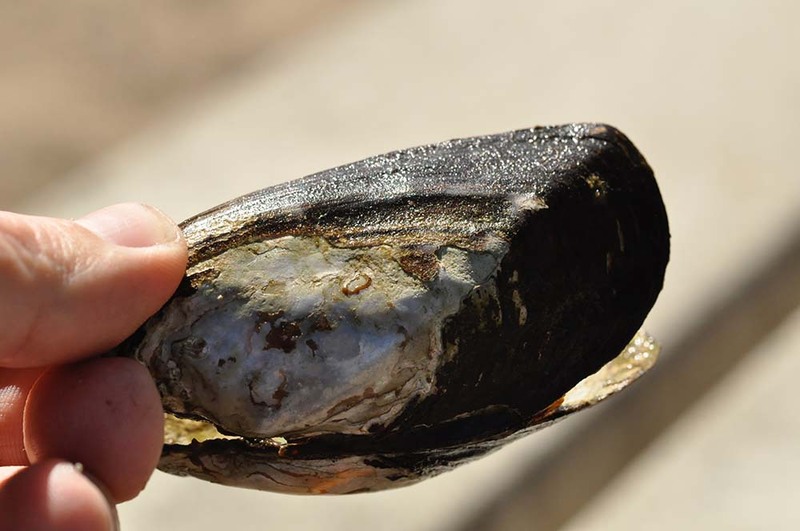 Improved management of Rocky Mountain ridged mussel in the Okanagan Valley, B.C. : 2014-2015 Technical report to the Environment Canada Habitat Stewardship Program. University of British Columbia, Kelowna. Mageroy, J. (2014). Rocky Mountain ridged mussel (Gonidea angulata) in the Okanagan Valley, BC: Final report on juvenile recruitment, host fish field sampling, and the impact of rototilling against Eurasian watermilfoil (Myriophyllum spicatum). University of British Columbia, Kelowna. Surveying for Rocky Mountain ridged mussel (Gonidea angulata Lea) in the Okanagan River.